Are You Hiding Behind Your Makeup Small Business Email Marketing? Technology is such a wonderful tool. Using Small Business Email Marketing in your home beauty business is such a time saver; such a great way to reach mass markets in a short amount of time. Email has surpassed telephone use in many circles. One recent study shows email or text to be the preferred method of communication and a growing population no longer even checks voice mail messages. All that said, email used too much in your direct sales business can kill your business or at the very least, stunt its growth. Don’t use email to communicate with your home party hostesses unless they specifically request that method of communication. 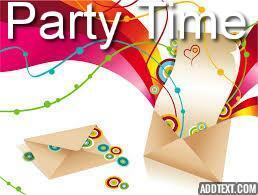 In order for your home party business to be successful you need to build a rapport with your hostesses. You need to coach your hostesses and work with them. Building relationships requires more than just firing off a periodic email. She needs to hear your voice and vice versa. You need real time, two-way communication so that the two of you are on the same page. You want your hostess to be vested in her party. That is much easier to achieve if you actually speak with her. Excitement is contagious. If she hears genuine enthusiasm in your voice, and hears that you care about helping her to have a great turn out, she will get more excited too. If you leave her alone or just communicate via email, you can’t hear intended tone, and it’s much easier for her to start second guessing herself. When she doesn’t receive RSVPs (and she likely won’t get too many, that is normal) she may start to feel defeated and retreat instead of talk up her party. After you’ve scheduled the initial booking, follow up with the hostess by telephone two weeks prior to the party date. Encourage her to get outside orders and to think about her wish-list, including what items she wants to earn for free. Then also follow up with her again on the telephone one week prior to the party. Ask her how many RSVPs she has received, and remind her to telephone those who have not responded yet. Review the agenda, tell her what time you will arrive and get directions, because not all streets show up on GPS. Once you’re at the 48 hours prior to the party, then it is acceptable to send her a quick email just to make sure she’s all set and doesn’t have any last minute questions. If you’ve done your job, and communicated with her a couple of times by telephone, she shouldn’t have any last minute questions or concerns. That is why email would be an acceptable method at that point. If you’ve been using email and text for a majority of your communication lately, it may be more difficult for you to get out of your comfort zone and use the telephone. History and experience have shown us time and time again that those hostesses who received coaching over the phone vs. over email or text have higher attendance, higher sales and more bookings. Aren’t those reasons compelling enough to pick up the phone? Try it; you just may like it.